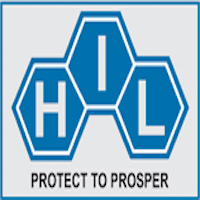 Online Application Details for Hindustan Insecticides Limited HIL Recruitment of 02 Officer and .4 Engineer is given below. Application form and duly attested documents are to be sent to Dy. General Manager (HR & Admn. ), Hindustan Insecticides Limited Corporate Office, SCOPE Complex, Core-6, 2nd Floor, 7 Lodhi Road, New Delhi-110 003. In envelope super scribed with 'Application for the Post of Post Name'.